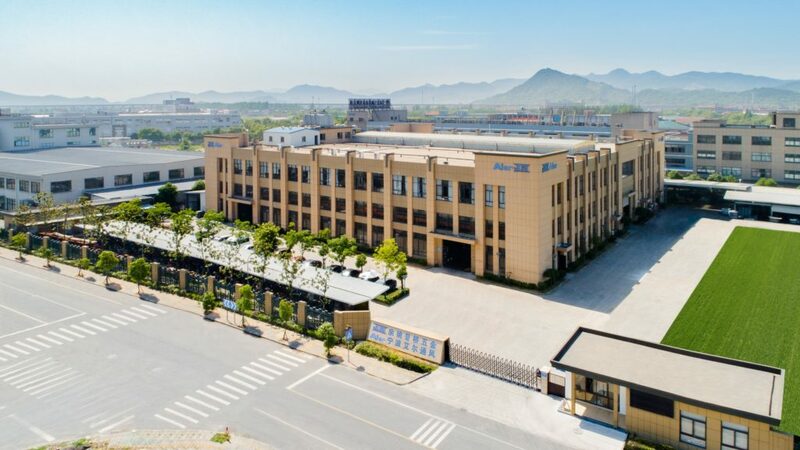 Established in 1997 & located in Yuyao Ningbo China, Yuyao Jingqiao Hardware Factory (also known as Ningbo Aier Ventilation Equipment Co., Ltd) has been a leading manufacturer of HVAC Accessories & Custom Metal Stamping Parts for over 20 years. Combining the two businesses under the same roof, JH/Aier has rich experience in manufacturing and exporting worldwide the high quality products such as iris dampers, ventilation pipe clamps, duct suspension clamps, duct access doors, tabbed access doors, metal disc air valves, circular external louvres, ceiling swirl diffusers, damper regulators, flange G clamps, as well as flange corners among others. 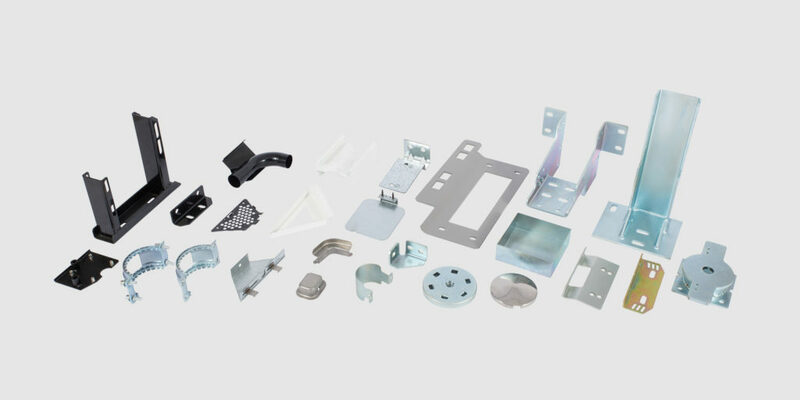 In addition, drawing on our years of experience in producing metal stamping parts, we are also capable of producing custom (bespoke) metal parts made by pressing, deep drawing, laser cutting, riveting, etc. exactly according to customers’ requirements (drawings or samples). These assets are giving us an extra edge in being able to fully satisfy the needs of our clients through strong professionalism and great flexibility. 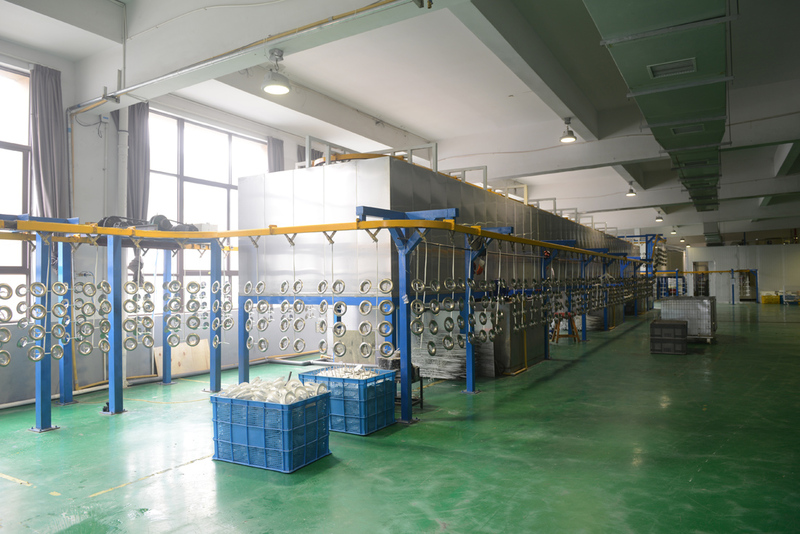 Upholding competitive prices, high quality of our products and an excellent customer service are our top priorities ever since we launched this business. JH/Aier has been successfully present in both European & North American markets, currently supplying over 20 countries with our HVAC products while still expanding its export to the Middle-Eastern region and Australia. 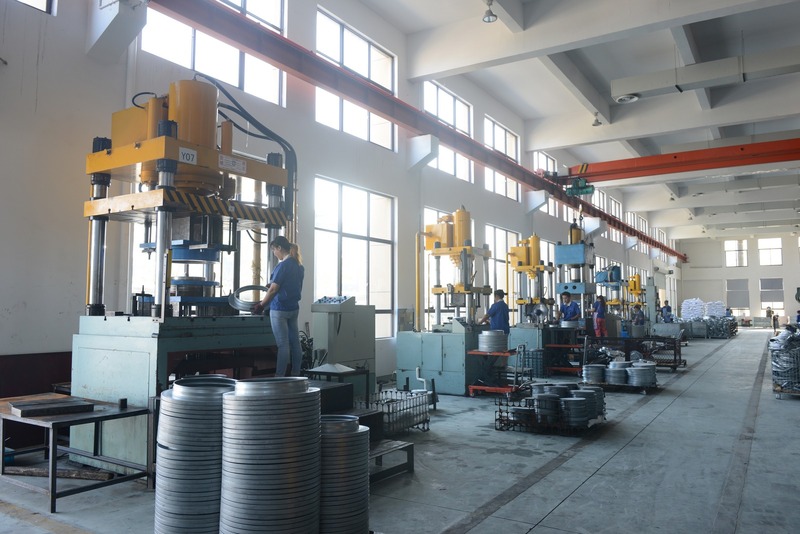 2018 Built another 10,000m2 factory, total production facility size up to 22,000m2. 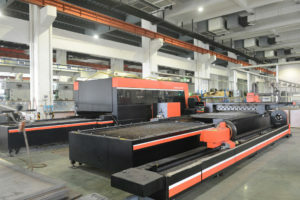 Manufacturing process: Blanking, Piercing, Bending, Forming and Deep drawn. We have 7 hydraulic press machines. 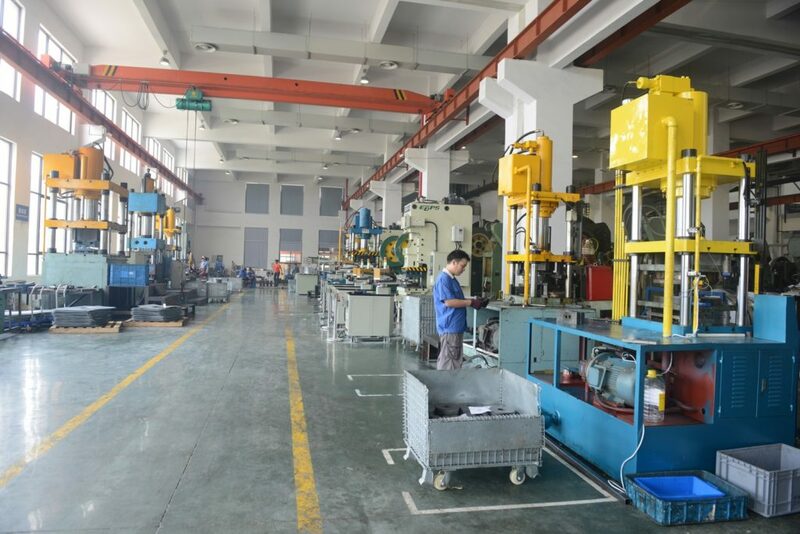 The pressing capacity is from 100T to 400T and is mainly used for pressing deep drawn metal parts. 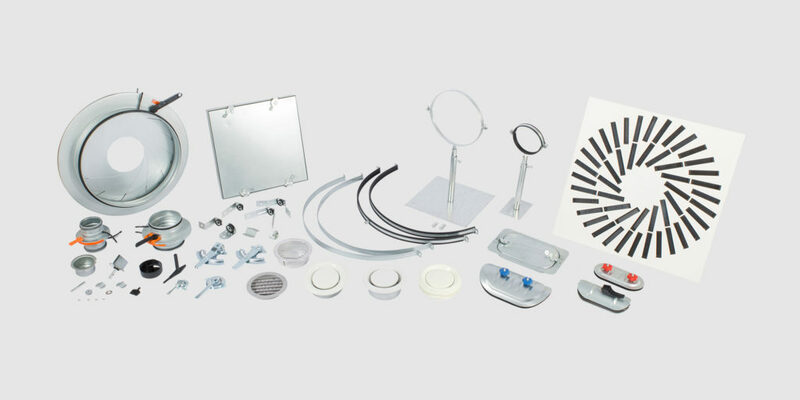 For example, our standard products such as access doors (up to 600x450mm, dia.1250mm) and iris dampers (up to dia.800mm). 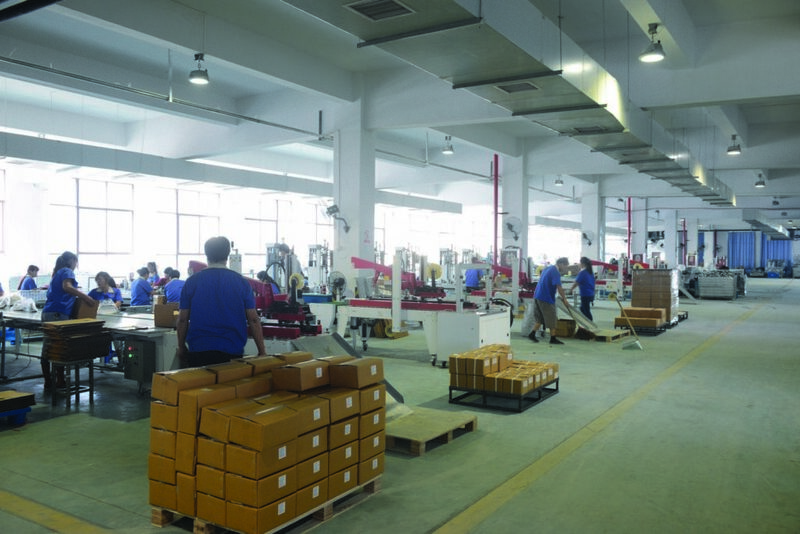 We have 10 progressive die pressing machines in our production facilities. 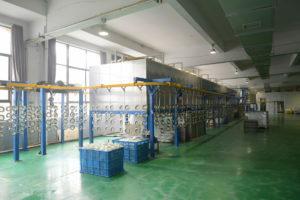 Their total capacity is from 110T to 160T. Many of our products have been upgraded from a single-transfer die to a progressive die due to the high efficiency and stable quality. They are used for making corners, G-clamps, access doors, DSC regulators, holders, etc. The two robot arm transfer production lines are serving for the production of the big volume products such as iris dampers and metal air valves. This automatized solution has significantly improved our productivity and also reduced the labor force numbers. 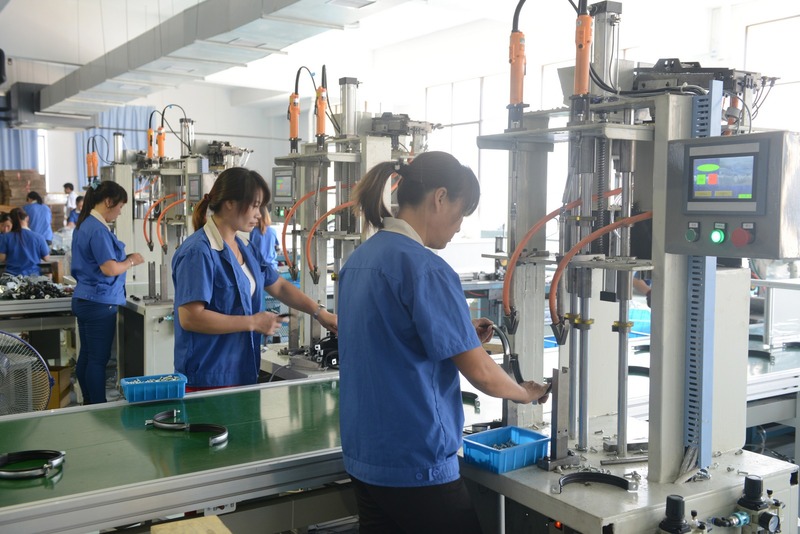 We have further plans to increase the numbers of robots in our factory for the existing production lines. We have 3 laser cutting machines with the total capacity from 1KW to 3KW. It can deal with the maximum thickness of up to 20mm for ordinary steel. 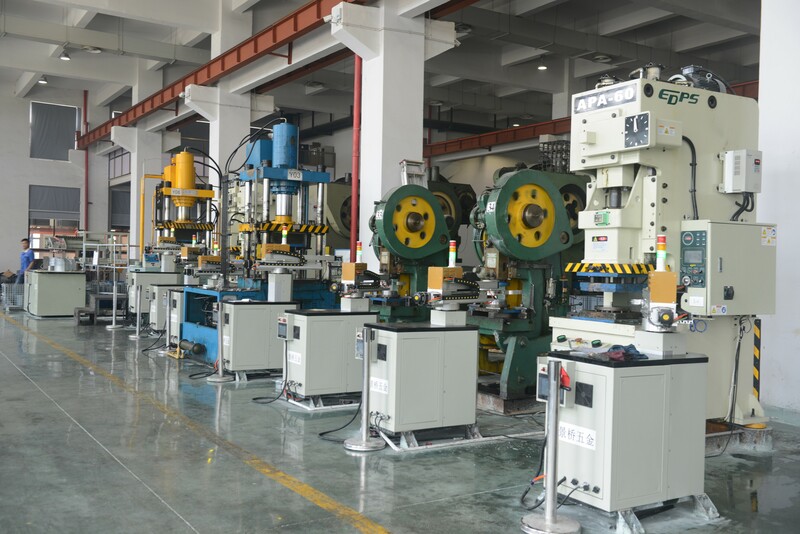 These machines enable us to produce custom metal parts more easily and flexible without tooling cost investment and minimum order quantity request. 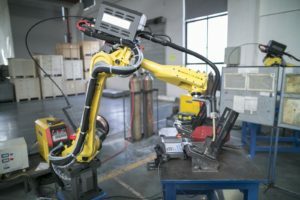 We have 3 robot welders for welding the custom parts automatically. 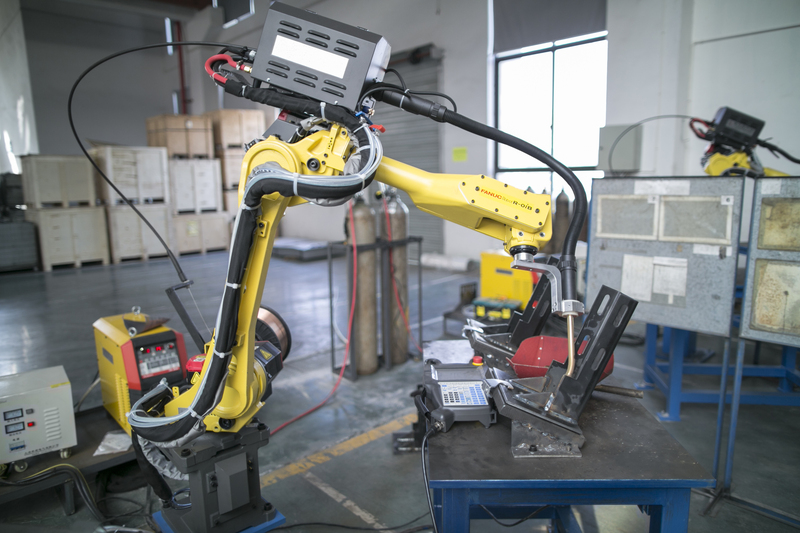 Using the robot welders in our manufacturing processes has significantly improved the welding quality and also reduced labor work. 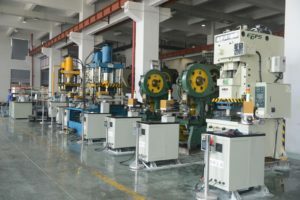 For improving the production efficiency and also the painting quality, we have introduced the modern fully automatic painting line for our air distribution products such as metal air valve, swirl diffuser, iris damper and also some custom stamping parts. Any color upon request is available, with our current standard painting colors being RAL9010, RAL9016, RAL9003, RAL9006, etc. 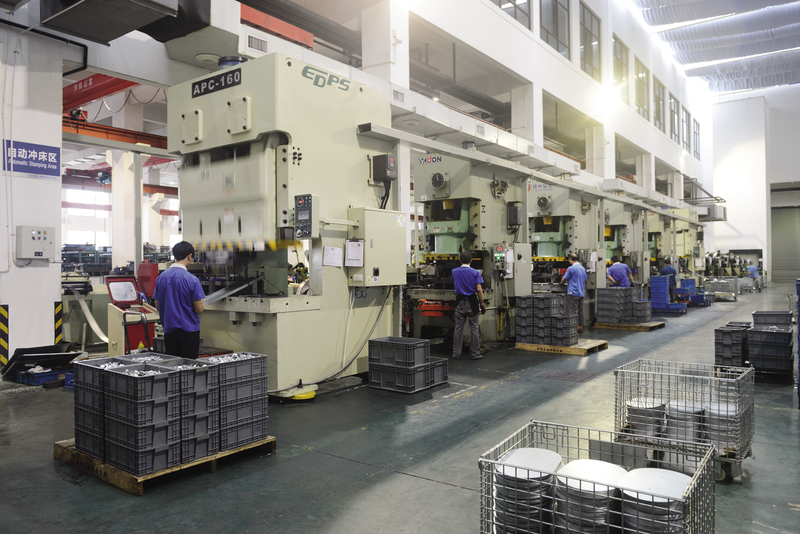 We have our own in-house tooling workshop, which enables us to design, engineer and produce different types of tooling (transferred and progressive) for our customers’ needs. 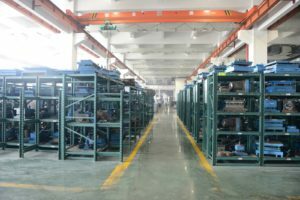 This capacity is one of our greatest strengths comparing to the other manufacturers who need to outsource the tools to sub-suppliers. 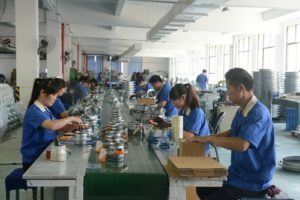 With our in-house tooling workshop in place, we are managing to decrease the development costs, which consequently makes our products much more competitive in contract to other manufacturers in the industry. At our factory, we have also introduced assemble lines for our HVAC accessories (10 assembling lines at the moment). 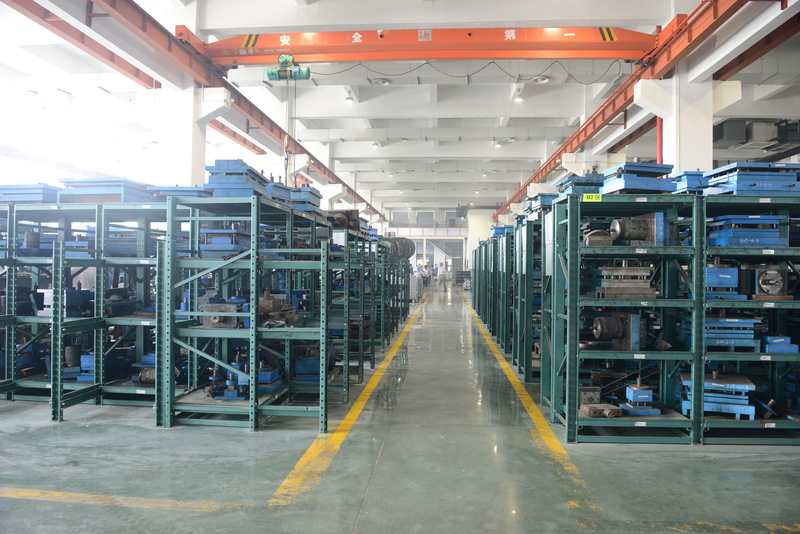 Using the assemble lines enables us to improve our packing efficiency by at least 20%. 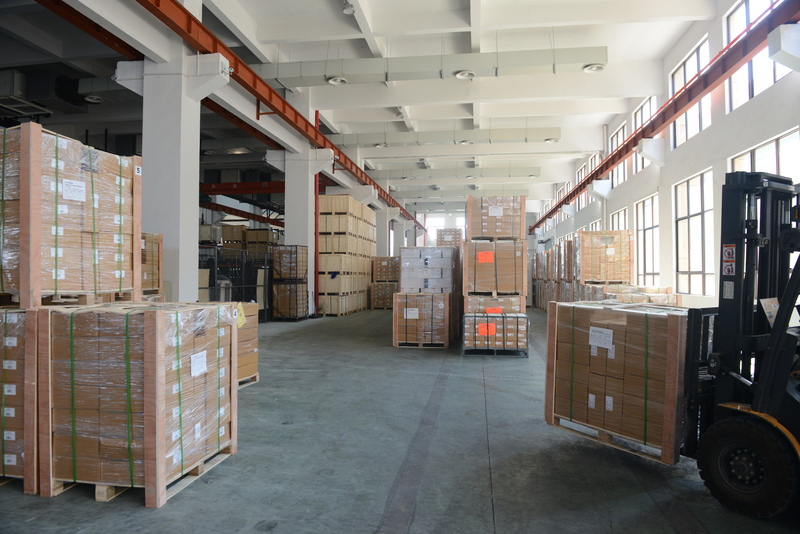 Total warehouse size is 3000 square meters with the capacity of about 500 pallets. In 2019 we will expand the warehouse to 5000 square meters for storing about 800 pallets. Our warehouse is managed under very strict regulations. The temperature is always at an optimal level and the premises are at all times clean in order to keep the packages in a very good condition.